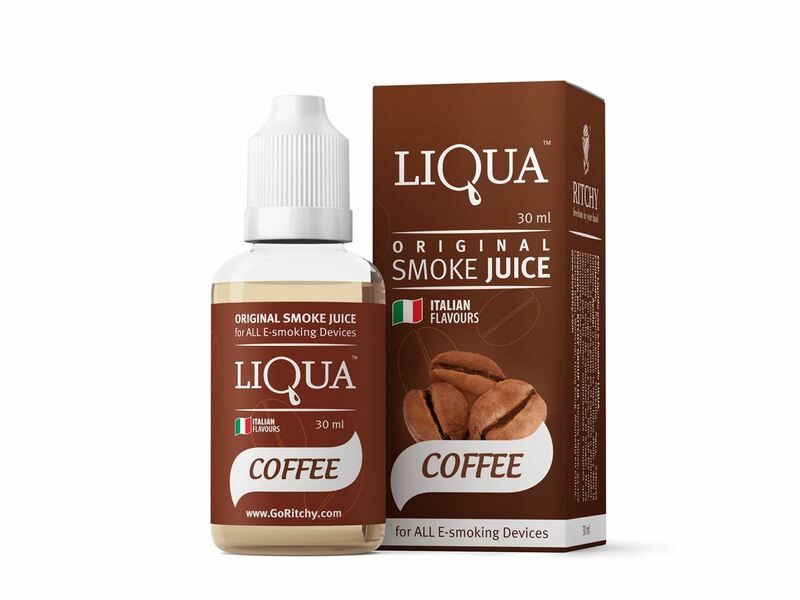 Buy Liqua Smoke Juice - Coffee 30ml in Melbourne, Australia. Free Delivery* and Discount. So what is Liqua Smoke Juice - Coffee 30ml? Coffee will take you over with a delectably compelling simmered Italian espresso mix, together with caramel and nuts, and a delicate smooth taste and soft milky aroma. The steam comes right out of the mug! Already at the first taste Vape Juice Coffee will give you scrumptiously intense clue of delicate smooth taste of Latte . The steam from the espresso e-liquid is agreeably velvety. LIQUA’s full range of tastes are designed carefully by those who really know what theyshould be – the most professional flavorists from Italy. That means LIQUA’s Tobacco taste is truly right - as fresh as natural leaf Tobacco. LIQUA Coffee flavor is as juicy as a real green Coffee, and LIQUA Coffee – tastes as good as what you’ve got in your morning cup.